Welcome to Ledgewood Farm Greenhouse Frames. 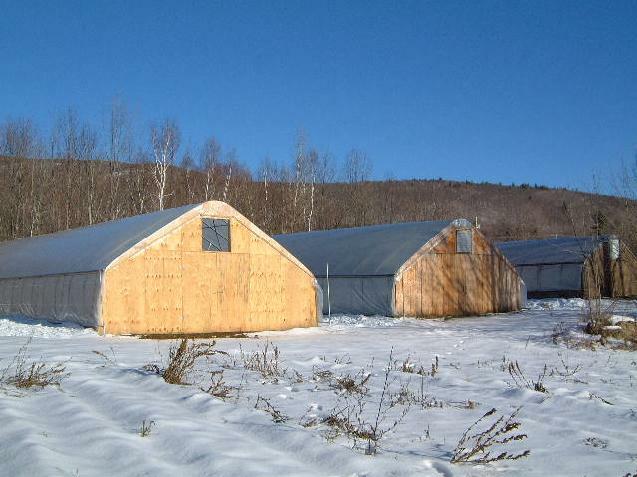 Ledgewood Farm, located in New Hampshire, manufactures pipe frame greenhouses and high tunnels. The frames are used by all areas of agriculture for plant protection, livestock housing, and storage. Our goal is to help make your business more profitable by providing frames to enhance plant growth, improve the health of your animals, and create economical storage. Season extension for vegetable farms is an important economic boon for retail and wholesale production. Heated greenhouses and unheated high tunnels fill a void left on many farms to extend markets for many weeks. Season extension works for many crops including vegetables, small fruit, herbs, and tree fruit. The greenhouses are suitable as plant protection from seed to sale. The frames are an economical alternative to wood or steel buildings to protect equipment from the weather and to decrease animal stress during cold winter months. Ledgewood Farm is located on NH Route 171 in Moultonborough,NH on the northeastern side of Lake Winnipesaukee in the foothills of the Ossipee Mountains. We have been raising vegetables and bedding plants since 1957. We currently have twenty acres of vegetables and small fruit, a roadside stand, and more than foury thousand square feet of greenhouses. 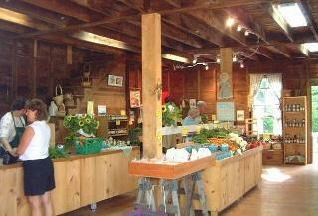 The greenhouse space consists of fourteen unheated tunnels and seven heated greenhouses. The unheated tunnels are used to grow early season vegetables and cut flowers for sale at the farm stand. The heated houses are used to grow our own seedlings for field production, greenhouse tomatoes, and red peppers. Ledgewood Farm Greenhouse Frames began in 1987. The purchase of some simple equipment and applying some Yankee ingenuity was the beginning of a very successful supplement to the farm. Our philosophy has not changed since the beginning. We provide a quality product at a fair price, advise and guide the customer at no charge, and constantly on the lookout for new and better ways to utilize the frames and technology that develops. We have a strong belief that greenhouse production is going to continue as a mainstay for successful farming well into the future and we will be leading the way with insight and hard work. The bows for these greenhouses are made from 1.660” O.D. pipe. The 12 and 14 have a single ridgepole and the 17 and 21 have a ridge and one purlin on each side. The height is sufficient to use a small tractor for tillage or for use as a garage or storage space. The greenhouses are suitable for use as high tunnels or heated greenhouse space. Many manufacturers use 1.315” O.D. pipe for these frames. I have decided a little more initial cost is a small price to pay for the peace of mind that the frames will withstand heavy snow and wind loads. The sidewall height of between 5-1/2 and 6 feet allows you to work close to the edge and for good ventilation using roll-up sides. The simplicity of this size house is attractive to first time growers and for quick expansion ,as well as easily dismantled and moved for crop rotation. The average time needed to erect the metal frame for a 14’X96’ house is about 12 man hours assuming your soil allows easy driving of the ground posts. The wood endwalls and baseboard take about 24 man hours. The 26 and 30 foot houses are the same design as the 12 through 21 foot houses except the bow diameter is larger(1’900”OD), they have a total of five purlins and a 1.660”O.D. insert connects the post to the bow. Crossties with trusses are suggested for these houses because of the rafter span and the greater snow and wind loads. The time to construct these frames is about double the narrower widths. WHAT’S INCLUDED IN THE KITS? The tube for all of the houses is Allied Gatorshield galvanized steel. The kit for all widths include; ground posts, bows, purlins (1-5 depending on the width),diagonal corner bracing, bolts and nuts, spacing template, post driving bolt, and instructions. The frame is pre-drilled for all bolts. Crossties are available for all houses to use as crop supports or for added strength. The roof pitch of all houses is 5/12 or about 27 degrees in a gothic style. The frames are available in four foot increments of length. Special orders for width and height are available because we manufacture all of our frames at the farm. The roll-up side ventilation system is a very simple manual system. The kit consists of a T-handle, 1.315”OD tubing for both sides, bolts and nuts, and poly clips to attach the poly to the pipe.